Here are days 7-9 outfits for Dressember. 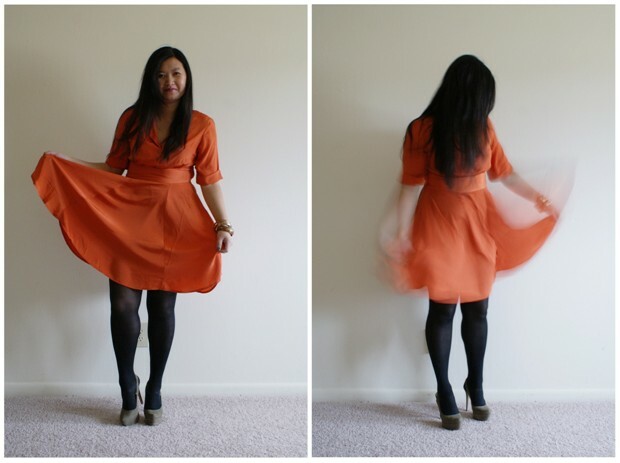 This orange dress makes for great whirling! 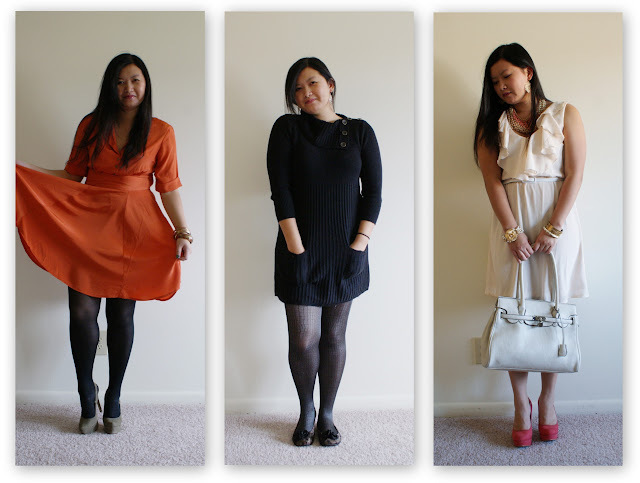 Here's how I wore the dress last time it appeared on the blog. Sweater dresses are perfect for when it's cold out, it's Dressember, and I am too lazy to actually put together an outfit. You can check out the full Dressember day 9 outfit here. Be sure to check out my other Dressember outfits here. It's not too late to join in on the Dressember fun! Just wear a dress everyday for the rest of the month. 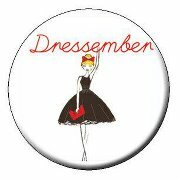 Check in on the Dressember Facebook page to see how other Dressemberists are faring this month.